The interurban line descended into the river valley at Ellsworth Park, finally crossing the North Fork on this bridge oriented north-south. 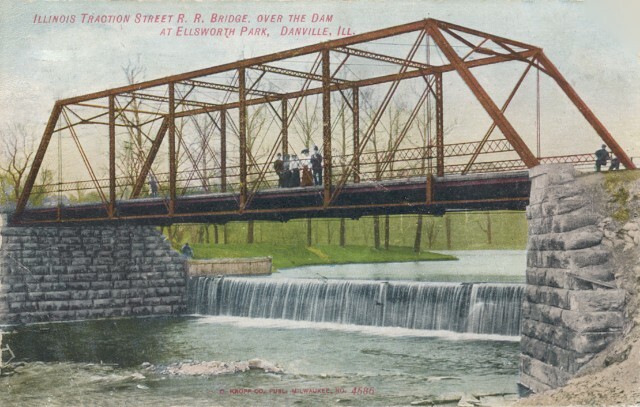 On the south end of the bridge, the track turned east and north again, finally connecting to the Danville city trackage on W. Main Street. 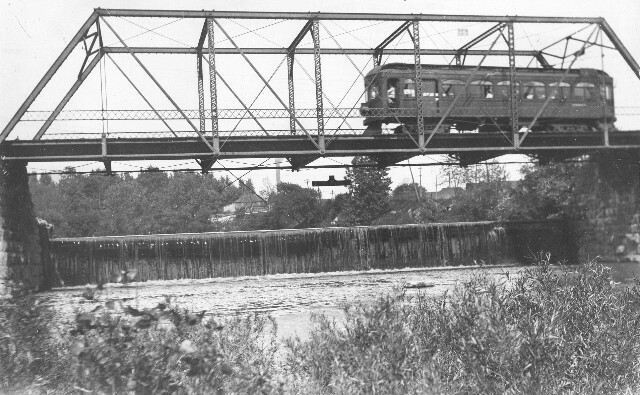 The top photo shows a westbound interurban car, crossing the bridge from south to north. The lower picture faces northeast. This bridge collapsed Friday, April 27, 1928 as a three-car coal train was attempting to cross. Fortunately, no one was injured. Over the weekend, a temporary bridge was installed, and a more permanent one followed.